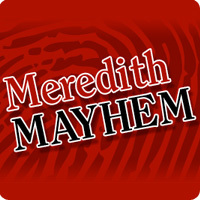 The 2012 edition of Meredith Mayhem, the annual class giving competition at Meredith College, is now underway. The competition officially began February 20 and runs through April 2. The fundraising effort, created in 2011, builds on the popularity of the NCAA basketball “March Madness” bracket competition and raises money for The Meredith Fund. Sixty-four Meredith classes are ranked based on their giving participation between July 2011 and February 2012. To win, classes must have a higher percentage of participation than the other class that week. The winner advances to the next round until a tournament winner is named. The donors from the winning class will receive a dinner with Jo Allen, ’80, president of Meredith College, and an artist’s rendering of a Meredith campus scene. Weekly prizes like coach and player of the week will also be awarded. The goal of “Meredith Mayhem” is to engage the spirit of class competition to increase Meredith’s alumnae giving percentages. Last year, 20 percent of Meredith alumnae gave back to the institution, up from 17% in 2010. Click here to view the “Meredith Mayhem” bracket.